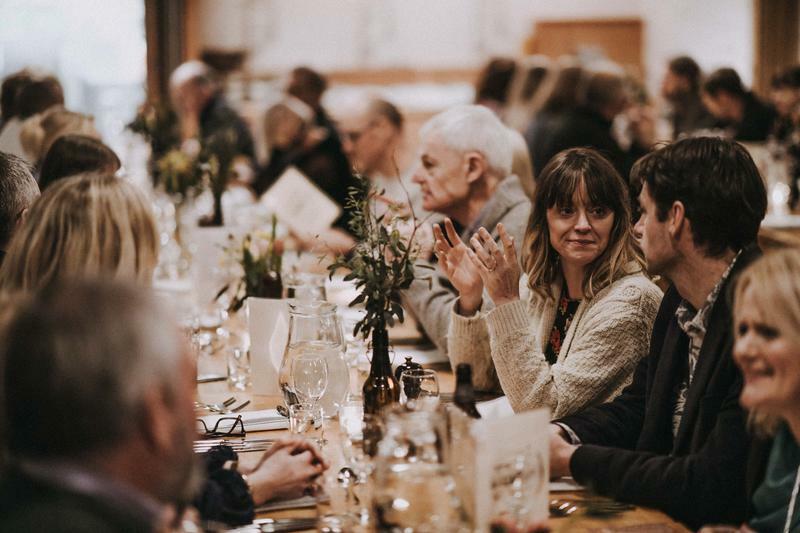 Give the weekend a warm welcome at River Cottage, with a Friday night dinner unlike any other in our restored barn. 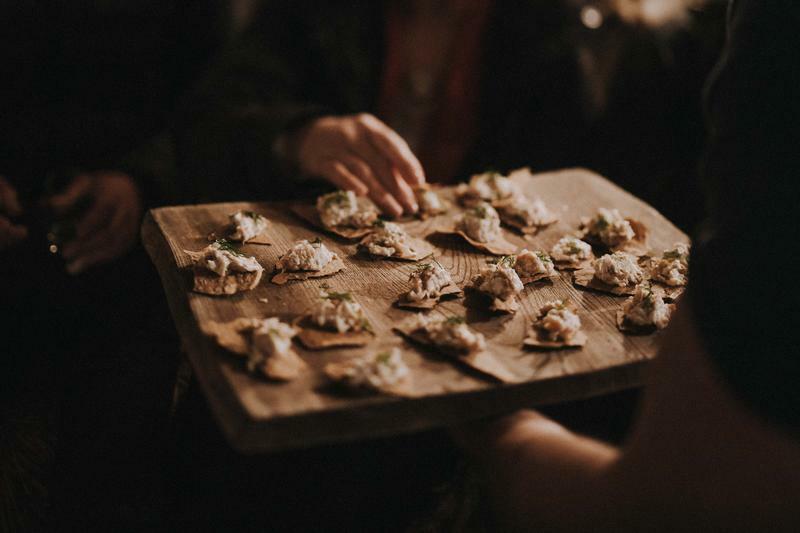 Friday Night Supper at River Cottage HQ is a magical way to start your weekend. 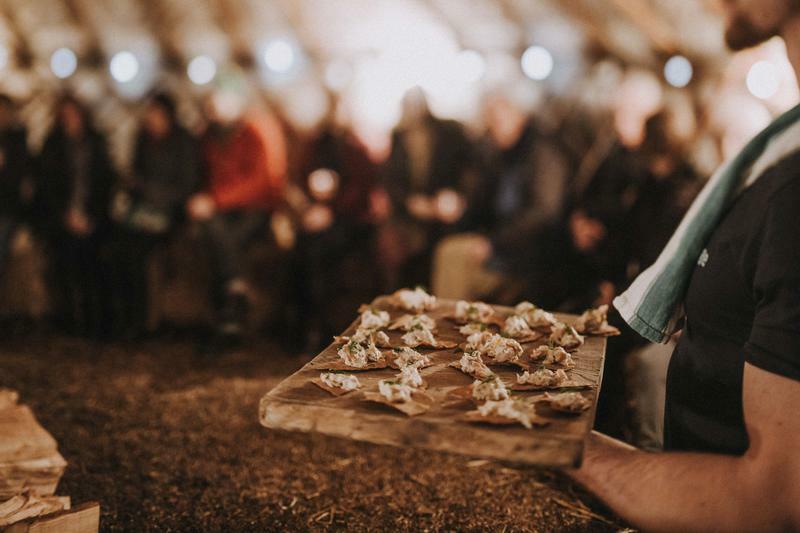 Join us for a communal feast in our 18th century threshing barn to share and celebrate the very best local, seasonal and sustainable produce. Collected by tractor at the top of the hill you will be transported down the track to our 65 acre farm nestled in the Axe Valley, complete with farmhouse, barns, livestock and produce gardens. 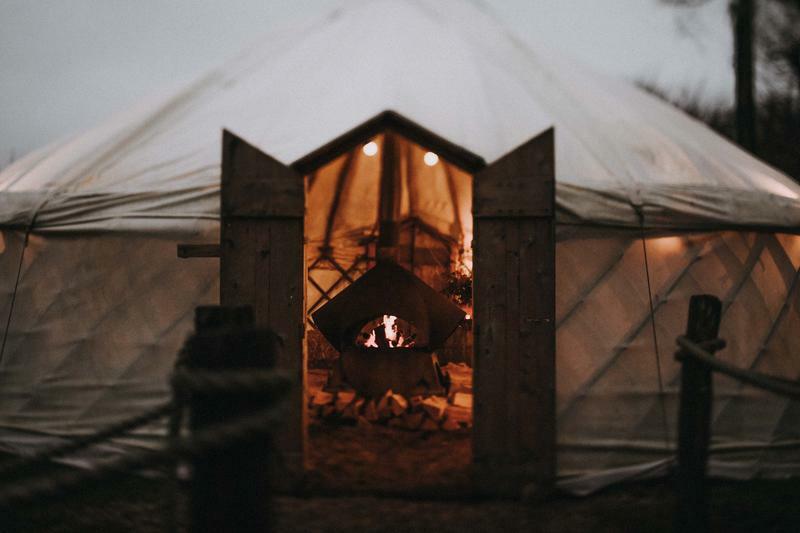 Before dinner, enjoy a local tipple or seasonal cocktail and relax in front of an open fire in the cosy yurt or explore our abundant kitchen garden. 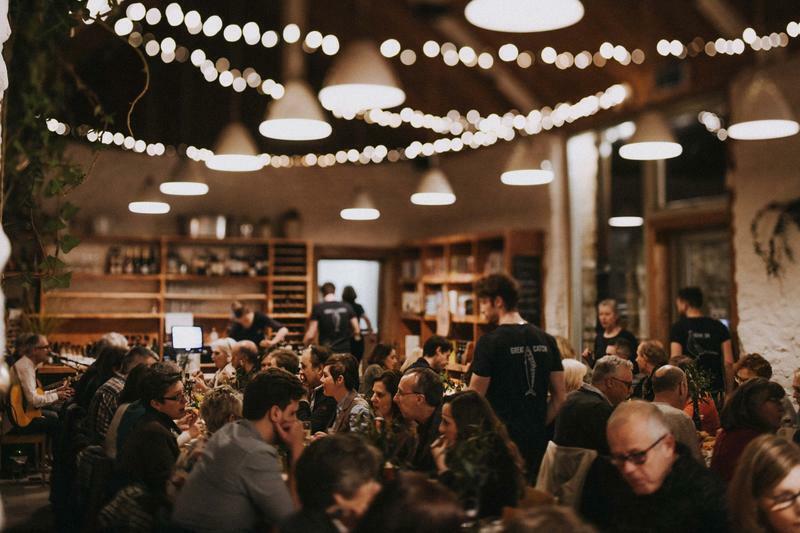 Once you are settled in our beautifully restored barn, our Head Chef will give the story behind the four courses being served. We are internationally renowned for creating an exciting set menu which constantly changes to reflect the seasonality and availability of ingredients. We love incorporating the latest recipes we are working on as well as firm River Cottage favourites. The garden and land team liaise closely with the kitchen team to grow, nurture and harvest the produce for our events. Anything additional we need is sourced from our excellent neighbour suppliers including Trill, Pipers and Haye Farms. In fact two of these farms are so local to us we can see them from our back step. As you would expect our menu is always inspired by what has been caught, foraged and whatever we may have a delicious glut of. 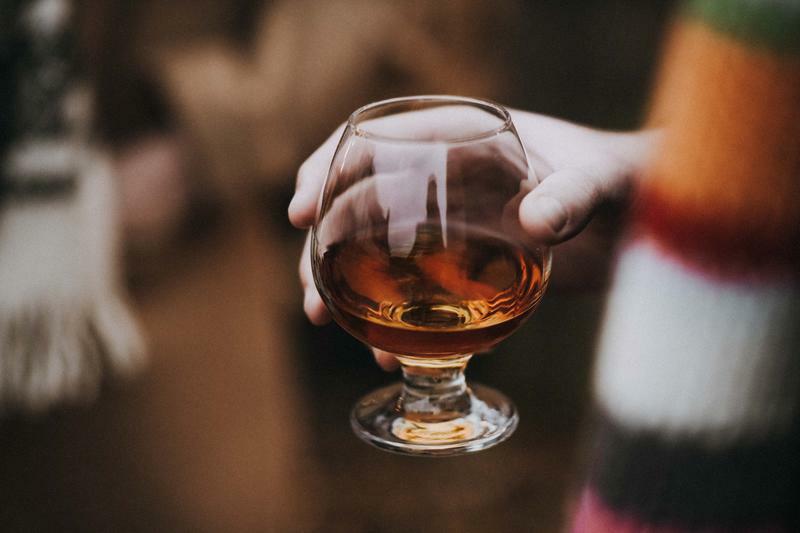 The drinks list includes our own ale, cider and Elderflower Sparkling as well as some local icons like Somerset Cider Brandy and the effervescent Castlewood Sparkling from the vineyard over the brow of the hill. At the end of the night the tractor will be on hand to take you back up the hill. We are passionate about what we do so we hope you leave us with great memories of your evening and maybe a little food or garden inspiration too. # Our Friday Night Feast on 17th May will celebrate the launch of our 17th handbook, ‘Outdoor Cooking’, with Gill Meller. Gill will be creating and hosting a very special Friday night event. Join him to hear more about his outdoor cookery adventures and feast on a variety of amazing wood fired dishes from the book. The ‘Friday Feast’ was a really good event. Well thought out with incredible attention to detail from the ride down to the farm to food choices and presentation. We enjoyed the social dimension of the feast as well as learning more about how our meal was sourced and prepared. A great evening, in a great atmosphere. A foodie delight! You’ll be met at the top of the hill at 6.30pm and transported to River Cottage HQ by tractor and trailer. We’ll greet you with a drink, canapés and you will have the chance to explore our idyllic surroundings. As you settle in for the evening, your chef will introduce the menu and tell you more about our philosophy, the food’s provenance and how the dishes have been prepared. You’ll be treated to a four-course menu of fantastic local and seasonal produce, planned on the day to showcase the freshest and the best. We happily cater for any dietary requirements, which you’ll be asked to provide when booking. After dinner you’ll unwind with coffee and petits fours (if you still have room), before being driven back up the hill by our tractor and trailer. Not suitable for under 12's. Not suitable for under 12's. We put these guidelines in place for the safety, comfort and enjoyment of all our guests. Sometimes guests ask us to consider dislikes and preferences. 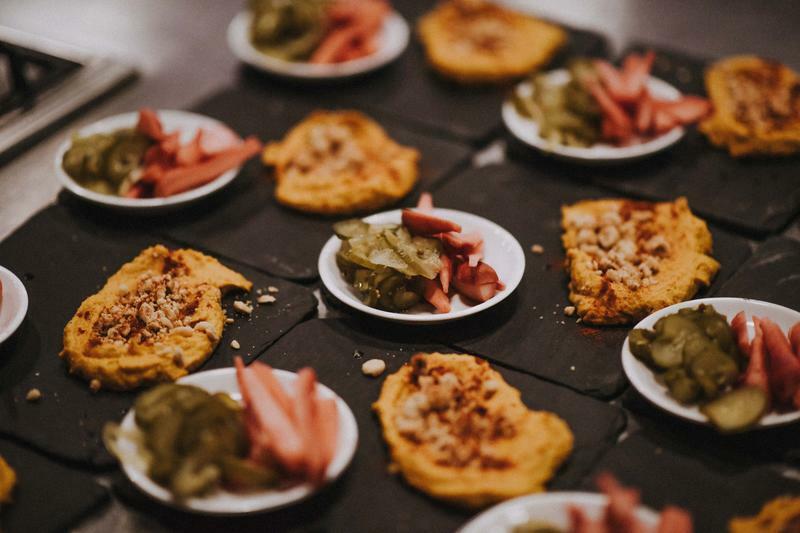 On those occasions we would rather not make too many changes to our menus as we would love you to enjoy the dishes our chefs have specifically created for the event. However, we happily cater for all but the most severe allergies and intolerances so do let us know of any restrictions at the time of booking. Please be aware that we use ingredients in our kitchens which include allergens so we cannot guarantee against contamination. If you would like to know the steps we take to minimise cross-contamination in our kitchens, please call one of the team between 9-5, Monday to Friday, and we will be happy to assist.